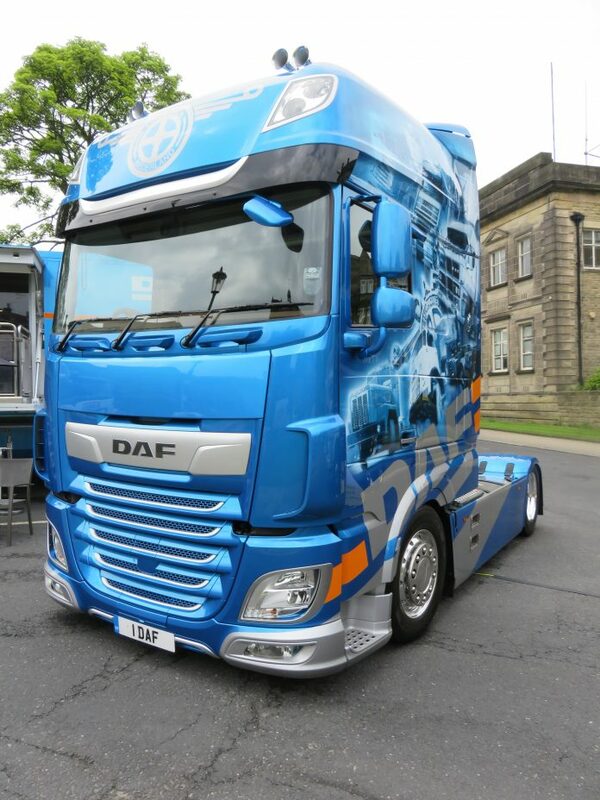 DAF Trucks last week presented a rather eye-catching, specially liveried Daf XF tractor-unit alongside its new LF and CF-Series models at Tip-ex & Tank-ex Show 2018 in Harrogate. 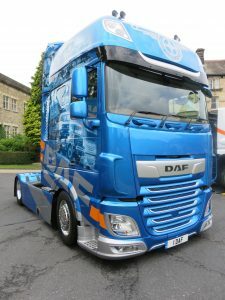 The “International Truck of the Year 2018” award winning DAF XF Super Space Cab low-deck tractor unit – used to pull the DAF Showtrekker trailer – was indeed a popular attraction at the Yorkshire town. 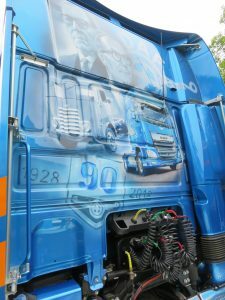 The truck features a specially commissioned artwork by air-brush artist Adam Haden, depicting DAF vehicles throughout the Dutch company’s 90-year history.